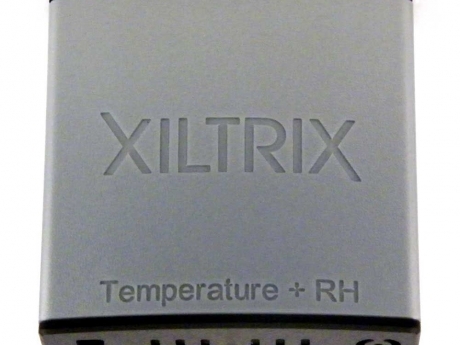 XiltriX watches over the lab and notifies those responsible when something is wrong, even when no-one is around. 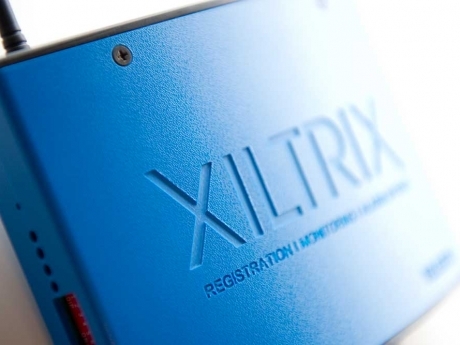 XiltriX can also provide the audit trails, historical data and graphical information needed to provide quality assurance to your suppliers and customers and auditors. 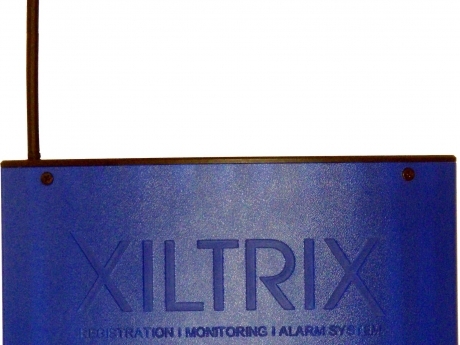 XiltriX offers several different alarm options – Local flashing lights and acoustic signals. 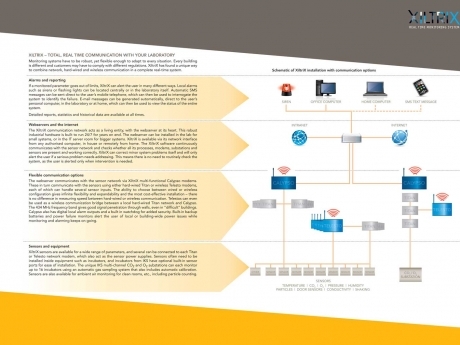 Emails sent to specific individuals, pre-recorded telephone messages via an automatic dialler or SMS text messages requiring replies. Diagnostic information is always immediately available. 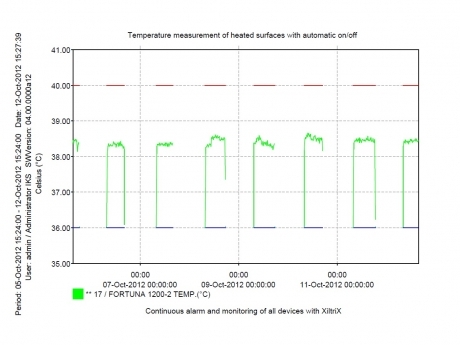 For example, the SMS text module provides the location of the alarm and the value that triggered it. 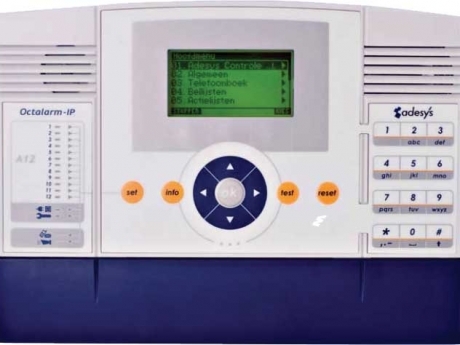 Bi-directional communication allows the user to interrogate the XiltriX system, so an alarm situation can be managed from a mobile phone. 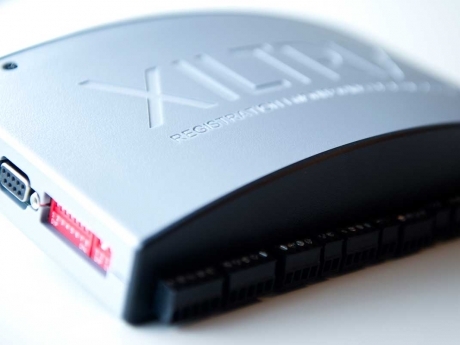 If more information is needed, the user can log in to XiltriX at home via an internet connection. 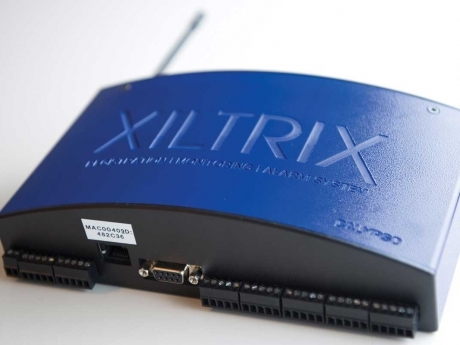 The webserver communicates with the sensor network via XiltriX multi-functional Calypso modems. 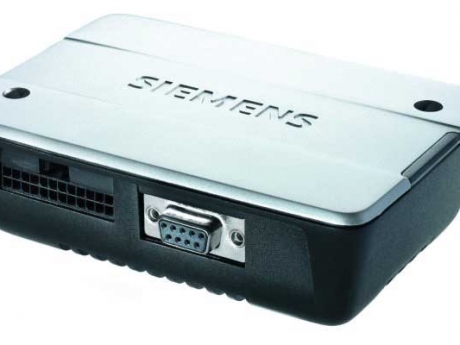 These in turn communicate with the sensors using either hard-wired Titan or wireless Telesto modems, each of which can handle several sensor inputs. 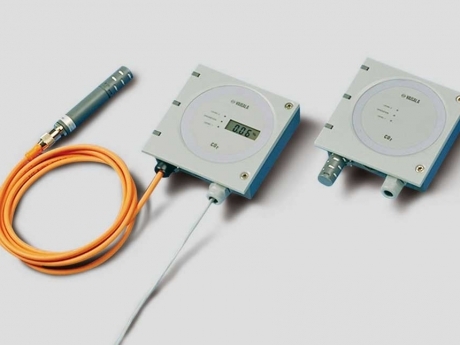 The ability to choose between wired or wireless configuration gives infinite flexibility and expandability and the most cost-effective installation – there is no difference in measuring speed between hard-wired or wireless communication. 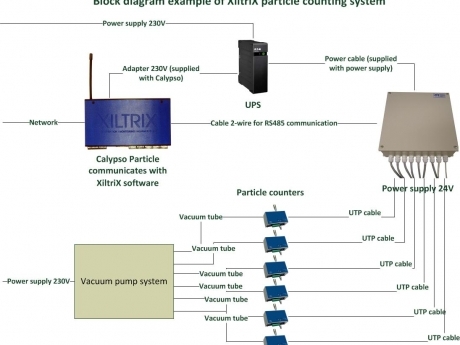 Telestos can even be used as a wireless communication bridge between a local hard-wired Titan network and Calypso. The 434 MHz frequency band gives good signal penetration through walls, even in “difficult” buildings. 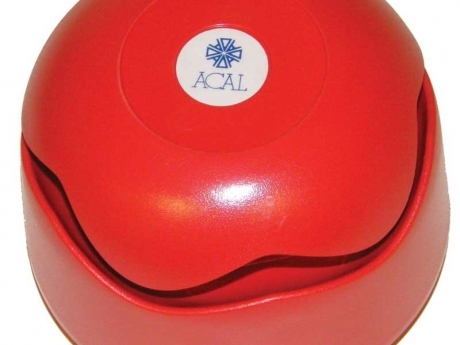 Calypso also has digital local alarm outputs and a built in watchdog for added security. 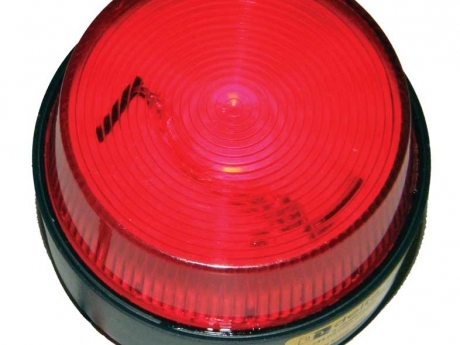 Built-in backup batteries and power failure monitors alert the user of local or building-wide power issues while monitoring and alarming keeps on going. 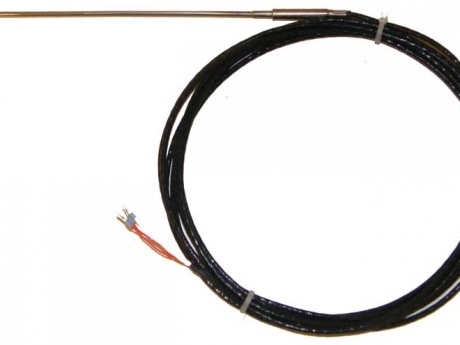 Temperature: a range of Pt100 sensors covering temperatures down to -200°C and up to +250°C. Different models for culture vessels, incubators, refrigerators, freezers and surfaces such as microscope platens. 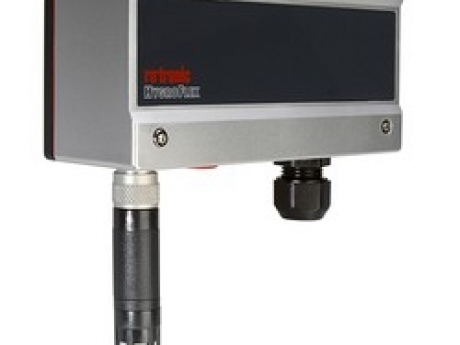 Pressure: differential pressure transmitters to monitor ambient pressure in clean rooms etc. Door sensors: in case that incubator or refrigerator is left open!